I've already posted about other free Alpha or VAX emulators like PersonalAlpha (the free version of CHARON-AXP, also makers of CHARON-VAX) and SIMH. Now it's time for something open source, that will work on Windows and UNIX systems. 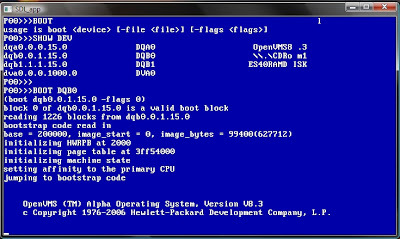 AlphaServer ES40 Emulator is a portable emulator for the HP (DEC, Compaq) AlphaServer ES40. 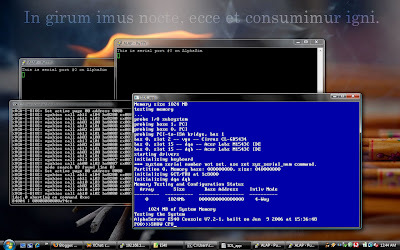 The current version is capable of running OpenVMS with some limitations. The goal is to have a drop-in replacement for real ES40's. 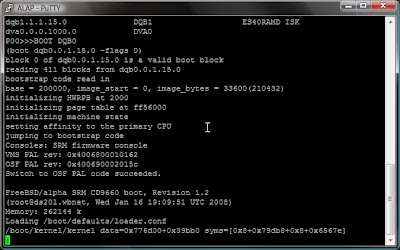 Emulates the Alpha AXP EV68CB processor and other devices. Now you can run OpenVMS or Tru64 UNIX on your own personal computer. The advantage of ES40 over PersonalAlpha is that you can emulate EV68 CPUs and a more modern system (AlphaServer ES40) and additional hardware. It's also open source, and will run on your Windows, Linux and UNIX machines. The problem is, it's no match for CHARON-AXP or PersonalAlpha in terms of performance. 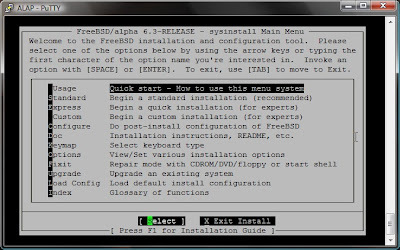 You can even use ES40 to install other operating systems like BSD and Linux on Alpha.